See What Health Professionals Have To Say About Neurofeedback! 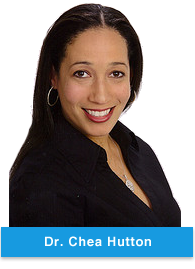 Chea Hutton, Ph.D, is a Sport Psychology Consultant to amateur and professional athletes. Chea strives to teach her clients how to dependably achieve peak performances. Her main focuses are performance enhancement, confidence development, coping with competitive pressure, assisting with injury rehabilitation, conflict resolution, and motivation for her athletes. Sport psychologists teach psychological techniques such as goal setting, energy management, relaxation skills, motivation, attentional focus, self-talk and positive imagery in order to maximize performances. If you need to get your nerves under control, or are seeking a competitive edge, a sport psychologist can help. Neurofeedback should be viewed as one of the three essential or primary forms of intervention – psychotherapy, pharmacology, and neurofeedback. In my experience, neurofeedback is every bit as important and powerful as the other two forms of treatment. - Dr. Laurence Hirshberg. Psychologist, Brown University Medical School. Dr. Chea Hutton’s clients perform at the top of their game. Copyright © 2012 Hutton Neurofeedback. Design by RGM Design.